Browse > Home / Dog Pictures, Health, Human or Doggy Nature / Bring ‘em inside, please! 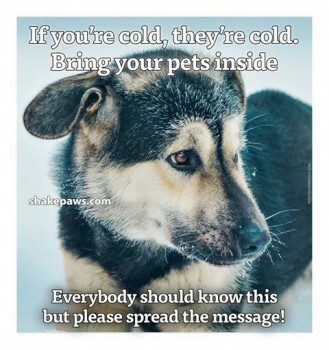 Just a friendly reminder for those of you living under Arctic conditions this weekend. 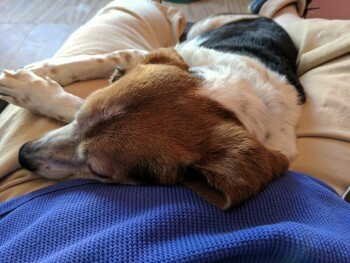 It’s currently 13 degrees here in sunny Canton, Ohio, and Penny is keeping my lap warm for me! Ooh, Baby, It’s Cold Outside!